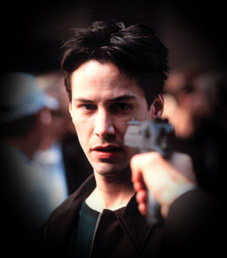 Have you ever dreamt of meeting Hollywood Superstar Keanu Reeves? DID I HEAR SOMEONE MENTION KEANU REEVES? That's right! 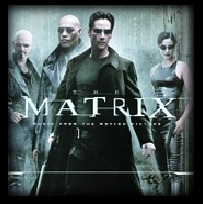 Direct from Hollywood USA, Matrix star Keanu Reeves will be attending the Gala Premiere Evening as guest of honour! Entering this competition is easy! Every person who purchases a pre-paid entry ticket to Warner Brothers Movie World before March 5th, 2001 will automatically be entered into the draw. On March 10th 2001, 500 lucky winners (and their partners) will be chosen to attend the once in a lifetime event. But wait, it gets better! If you purchase your pre-paid tickets on-line, over the phone, or by mail, Warner Brothers Movie World will give you a $5 discount on the normal entry price. That's right! nb: This page has been created by Bond University students for assessment purposes only. This page has absolutely no affiliation with Warner Brothers, Warner Brothers Movie World or The Matrix. The competition described is not real. Please contact katet@onthenet.com.au with any concerns.